I believe everything happens for a reason. 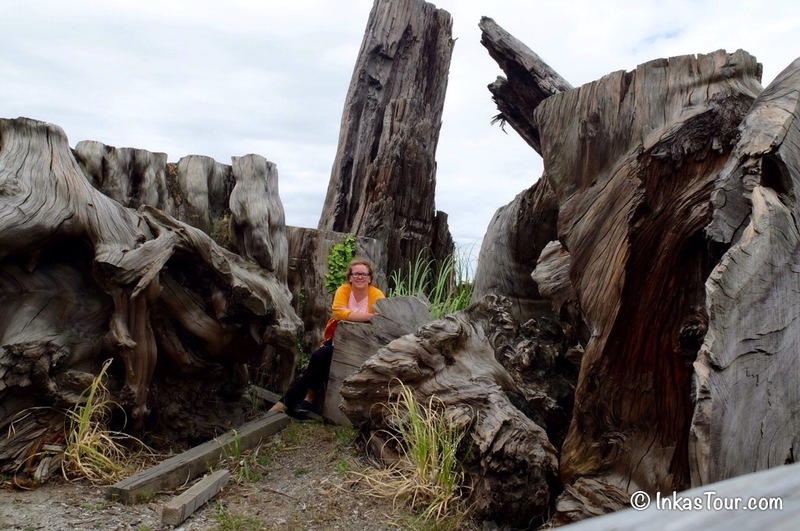 Traveling and going to a new country is full of challenges. Questions like where do I want to stay longer? What do I want to see? Where to go? And when on a Work and Holiday Visa, where do I want to stay longer to work? Those will all be questions we ask ourselves. 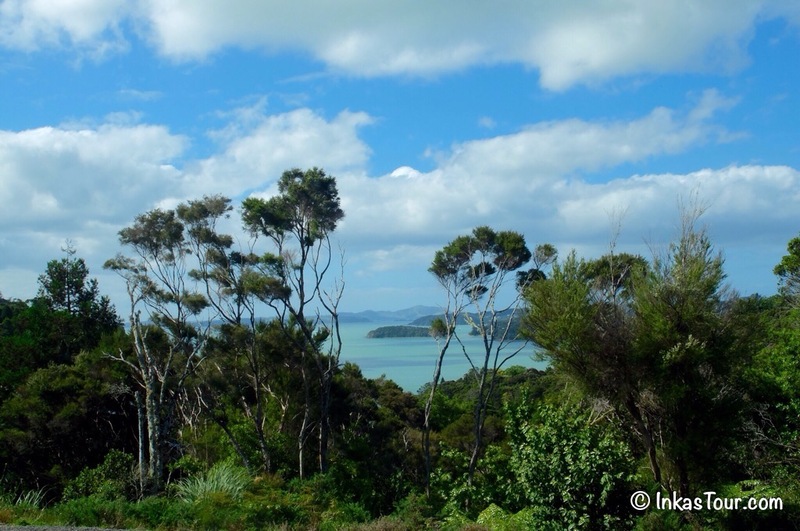 ~ First Destination after a little Research: Northland, New Zealand. 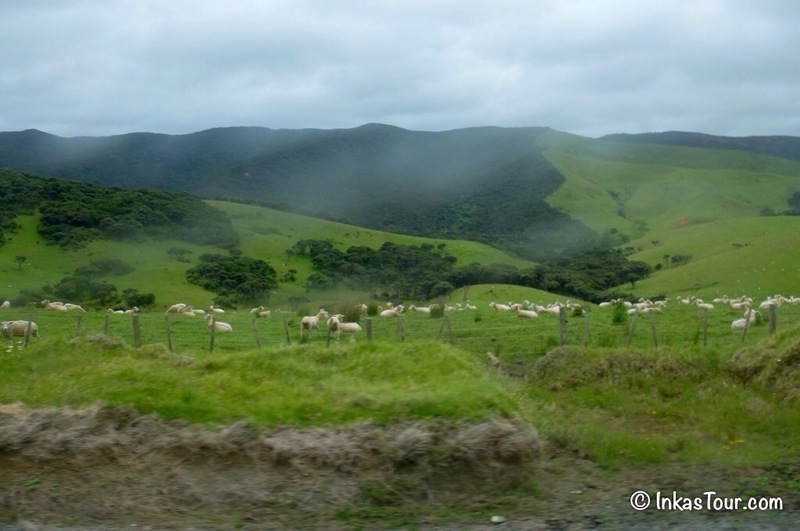 ~ By the way Northland is a Region/Province in New Zealand. For this reason I initially started my trip with a Bus. As it was the cheapest and easiest way to see a lot of places for a reasonable price. I decided against the Backpacker busses as I found that I wanted a little more freedom, and from previous Tours I knew that once out of the “big” city the chances of finding travel buddies are always greater. 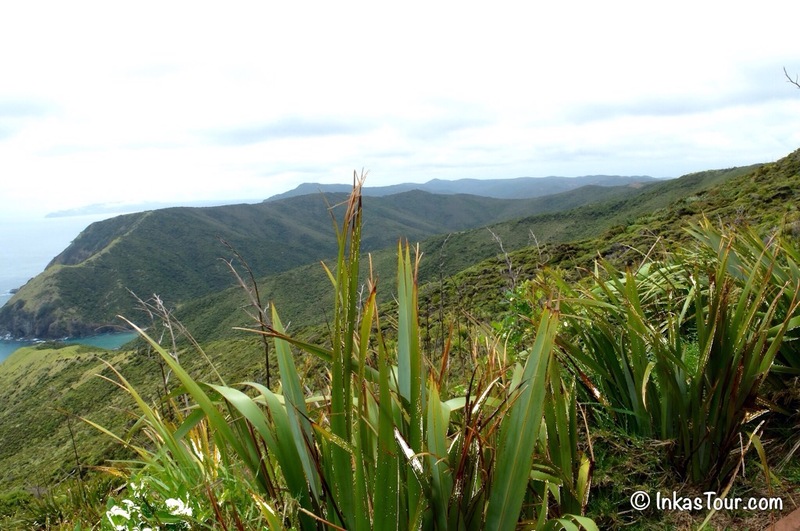 It turned out that my decision to travel up to Northland, New Zealand was one of the best I could have made. Not only did I meet a great travel buddy that I get along great with but I have the chance to see a lot of New Zealand in a short time and then decide where I want to spend some quality time. 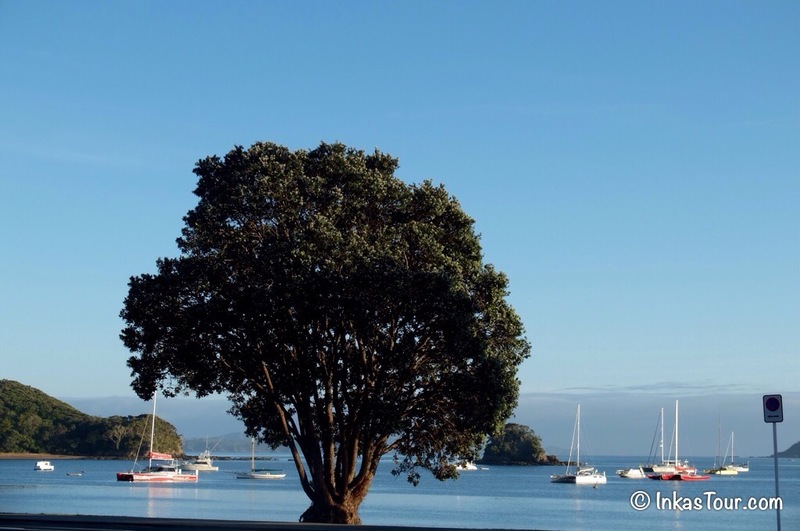 As images often explain a Journey better, I am going to let them tell the story from Auckland -> Paihia (with a Bus)and extremely curvy roads. 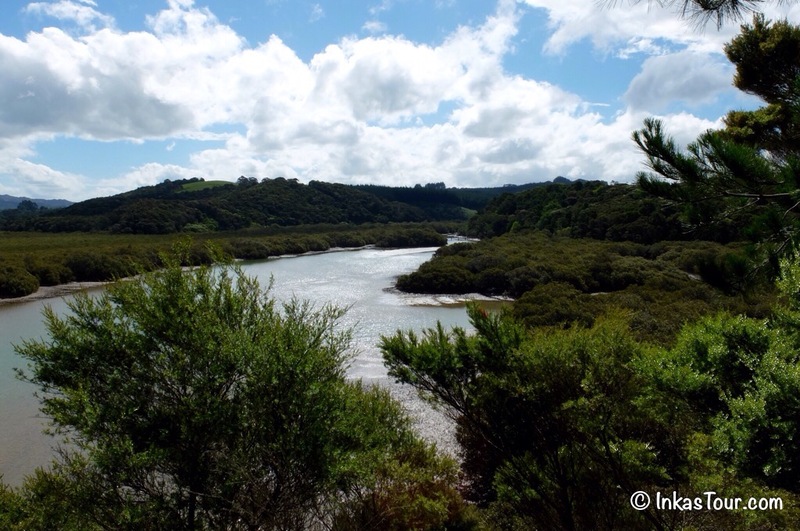 Beautiful blue water up the coast of Northland, New Zealand. Caution Curve! Enjoying the view of the reflecting water. 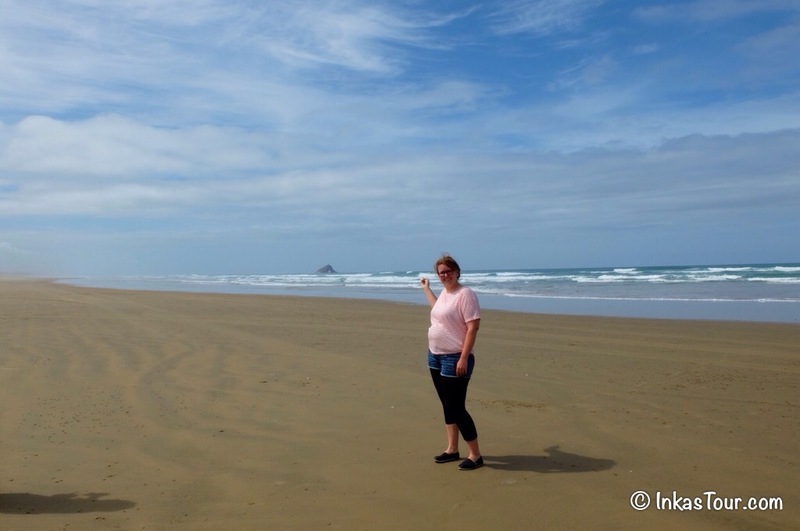 A trip to Cape Reinga. The most northern point of the island. “The top of the bottom of the world.” Although I had to take a tour, it was well worth it and I would recommend it to anyone. The day started with a little of a déjà vu. Six years ago when I was in Australia, the first official day of the west coast tour started in a similar way. 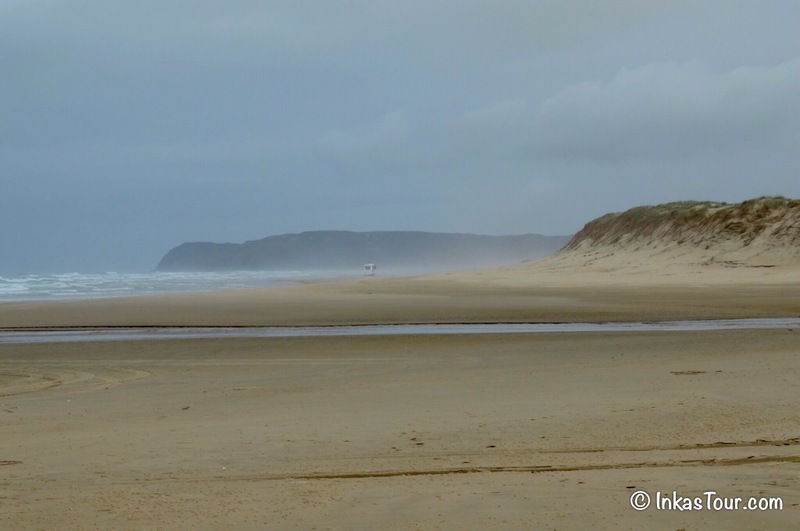 In the morning we went sand boarding, in the afternoon we drove along a beach. Pure freedom! This time it was very similar, except that is was with a Bus and it all happened in the morning. 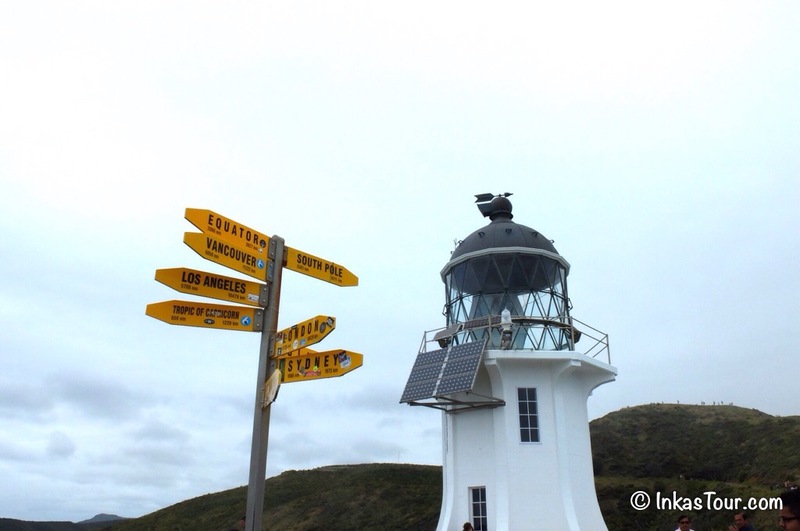 Cape Reinga and the signs in all the directions. The top of the bottom of the world. 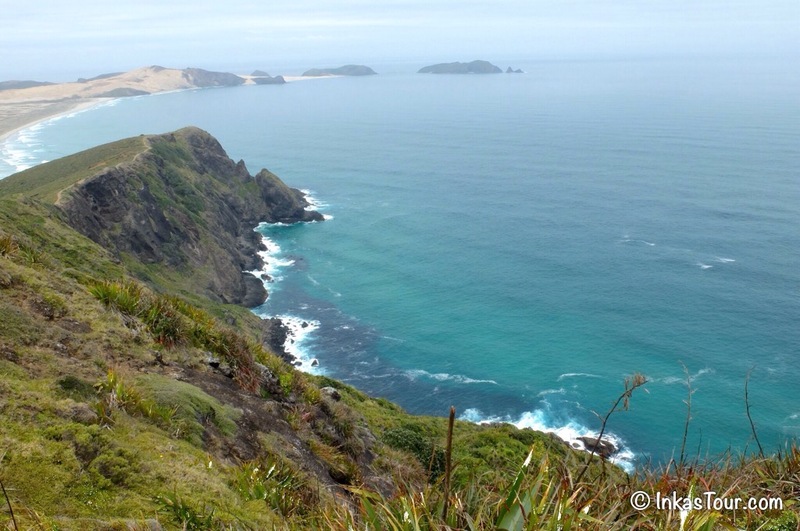 Cape Reinga in the distance, watching the Tasman Sea and the Pacific Ocean melt together. 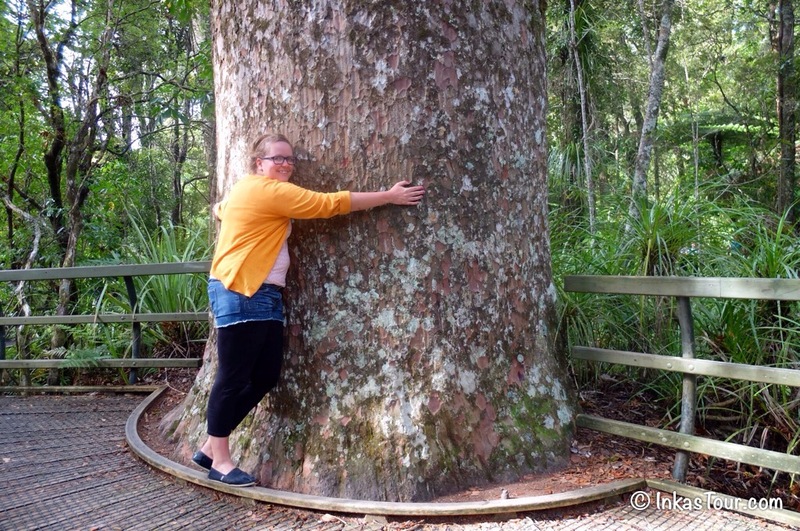 These are Kauri dead Kauri trees, who are being rescued from the swamp areas, mainly on Farmlands. They are now being turned into furniture and other cool things. Hear you can see the dimensions of these trees although they are not even the biggest once. 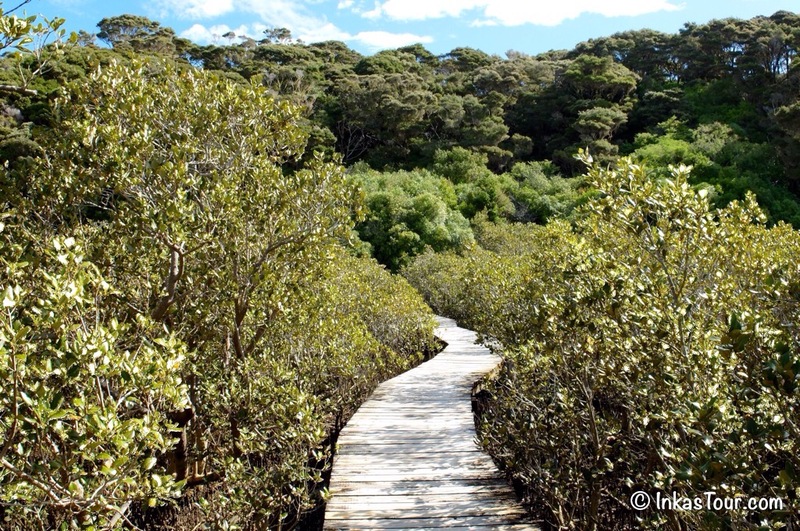 The Roots of the Kauri Trees are very sensitive, hence all the Boardwalks. The Night before I had meet the lovely Alina, a German girl traveling New Zealand all on her own. As she had a car she offered me to come tour with her around, when she heard of my bus trip plans. Who with a sane mind would turn down such an opportunity? 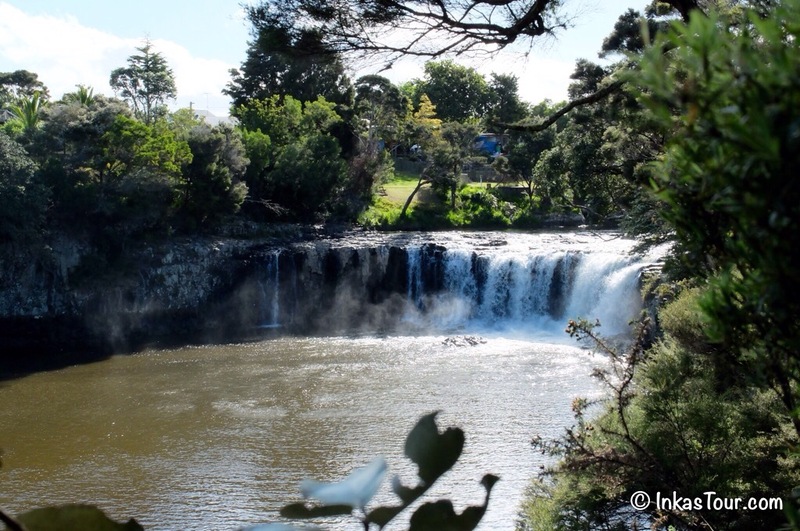 The morning was a little Rainy and was completed with a short afternoon walk of 1 hour to the Haruru Falls. 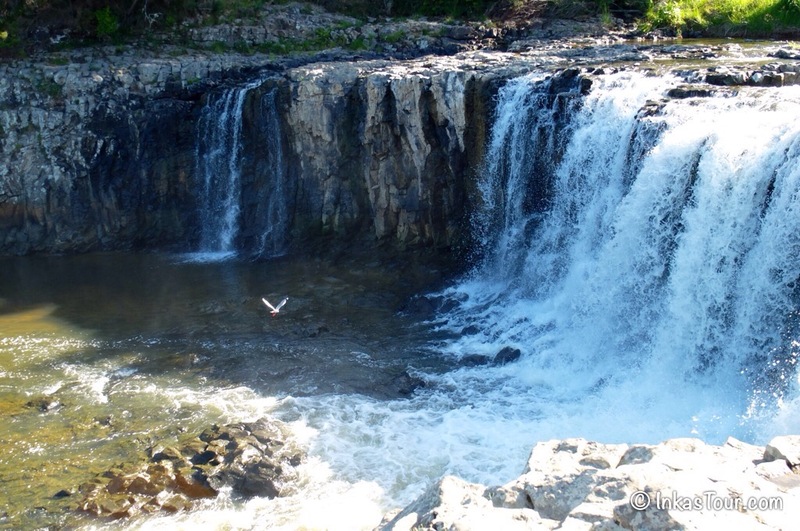 Chilling at the falls, watching the first fly close to the Haruru Falls. 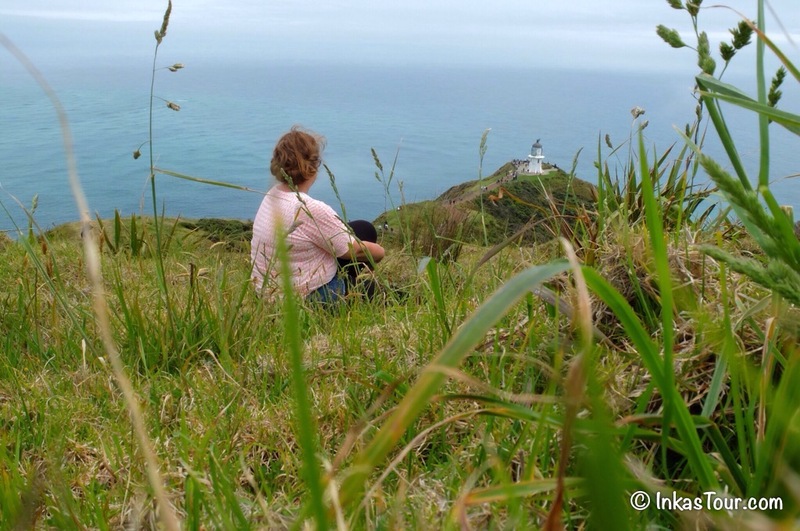 Now that is an update of the first three days, soon there will be a new edition, stay tuned for Part 2 – Down the Coast and the Middle of New Zealand. 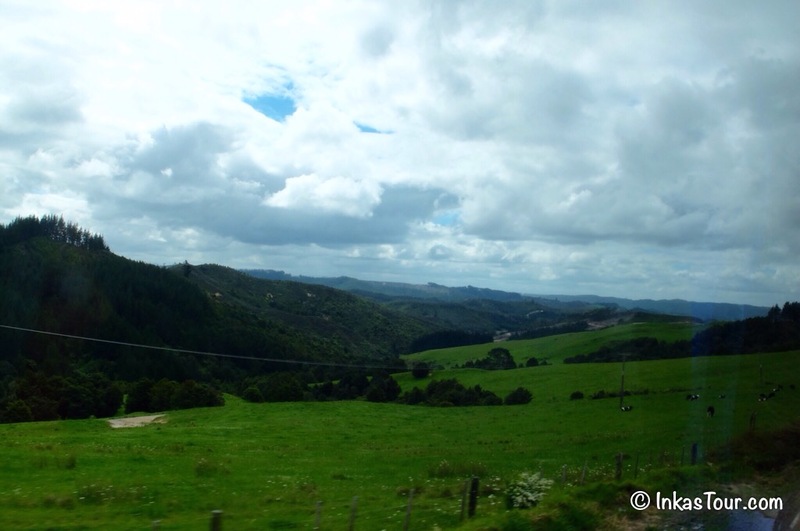 The beautiful Nature in Northland, New Zealand really surprised me, it was so beautiful. 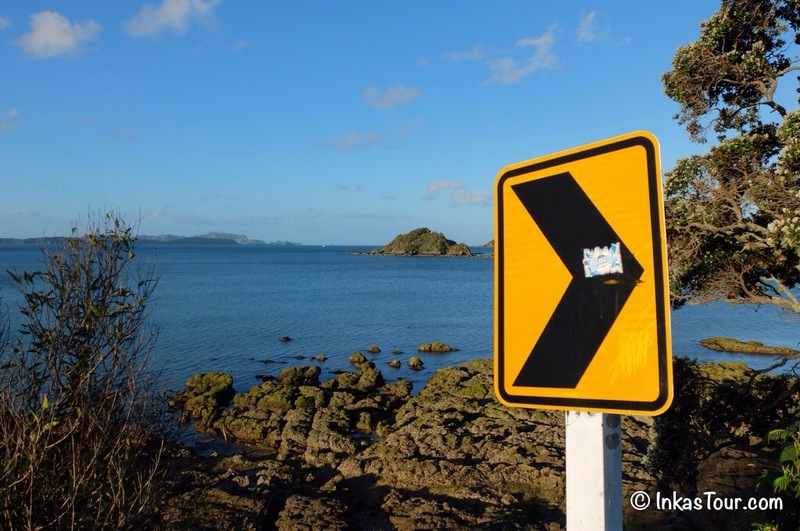 What is your favourite thing in Northland, New Zealand?